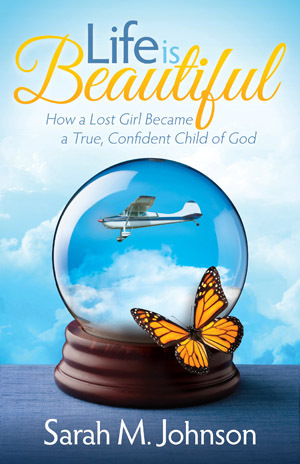 Life is Beautiful: How a Lost Girl Became a True, Confident Child of God, by Sarah M. Johnson, takes you on a full journey of trauma, loss, and finally resilience. While on a mission’s trip in Guatemala, a small Cessna Caravan’s engine blows while carrying fourteen passengers. Unfortunately, the Cessna crashes in a remote village, leaving eleven of the fourteen passengers dead. One passenger, Sarah, shares her story in Life is Beautiful, about the deaths of her father and brother; her mother’s extreme physical and emotional injuries, and Sarah’s self-discovery to accept this new life. Life is Beautiful, however, is more than a story about an airplane crash. Life is Beautiful shares the personal struggles of Sarah’s father’s drug use, his recovery, and redemption to be a better person. He gives back by doing missions work in Africa, takes in Sarah’s aunt dying of uterine cancer, and eventually leads their family to the mountains of Guatemala. Sarah also discusses her struggles with alcohol use and depression; where she eventually hits rock bottom. It is not until she starts seeking God through prayer, books, and therapy, where she starts to turn her life around. Life is Beautiful is not only a unique story, but it shows the strength of God’s Will. When all hope is lost, she never gives up on God. This story is a true testimony of God’s love for His people, and when one seeks a spiritual journey and connection with God; He gives back in love, forgiveness, and happiness. Life is Beautiful will be released on August 25, 2015. It is available for pre-order on Amazon and Barnes & Noble. Sarah believes that adversity is a gateway for change, and that through the difficult times of sorrow, loss, depression, anxiety, relationship issues, trauma, disease, or other mental illness, we can use this adversity to self-explore and change for the better. We must not run away from the adversity, but face it, heal, and use this particular adversity as a learning lesson. We all have the capacity to be happy and love ourselves; but we must utilize all necessary support systems, medical professionals, mental health professionals, Religious affiliations, (and many more that I am not mentioning) to help us find the Power Within. The Power Within helps us to accept our adversity and create necessary change for a life of love and happiness. 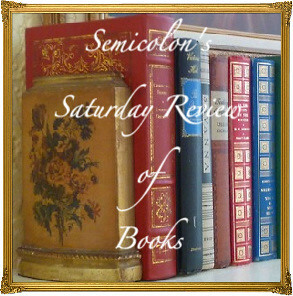 Connect with Sarah on Facebook, Twitter, and Goodreads. I remember the sense of something coming; you know it’s coming and wonder: will I live? I remember the violence of the plane plowing into the ground as we attempted an emergency landing in a roughhewn field...Boom, boom, boom...and then nothing but an unnerving silence. I don’t know if I blacked out or merely paused with my eyes closed in the stillness of those first few moments. Awareness comes slowly. Then in a rushed breath of shock and revelation, Thank God I’m alive. My eyes open to an eerily lit silence where sunlight and shadow intermingle, making it difficult to see into the new geography of the plane’s interior. My head and body buzz. My mind trips on the dissonance of dangling upside down, held a few inches from the ceiling of the plane’s cabin by my seatbelt. Taking stock of my body, I notice that I peed my pants and there is a small cut on my left arm. Looking up, I see that one foot is missing its shoe. My eyes squint into bright sunlight that passes through a relatively large doorway next to me that was torn open. The only noise to break the silence is the erratic popping of electricity; the final groans of a dying airplane. I move my arms first and then my legs, which causes small shards of glass to fall from where they’re lodged in my clothes and upturned seat. I tilt my head back toward the ceiling beneath me and it is covered in broken glass. Sounds like a good one! Might have to check into it.